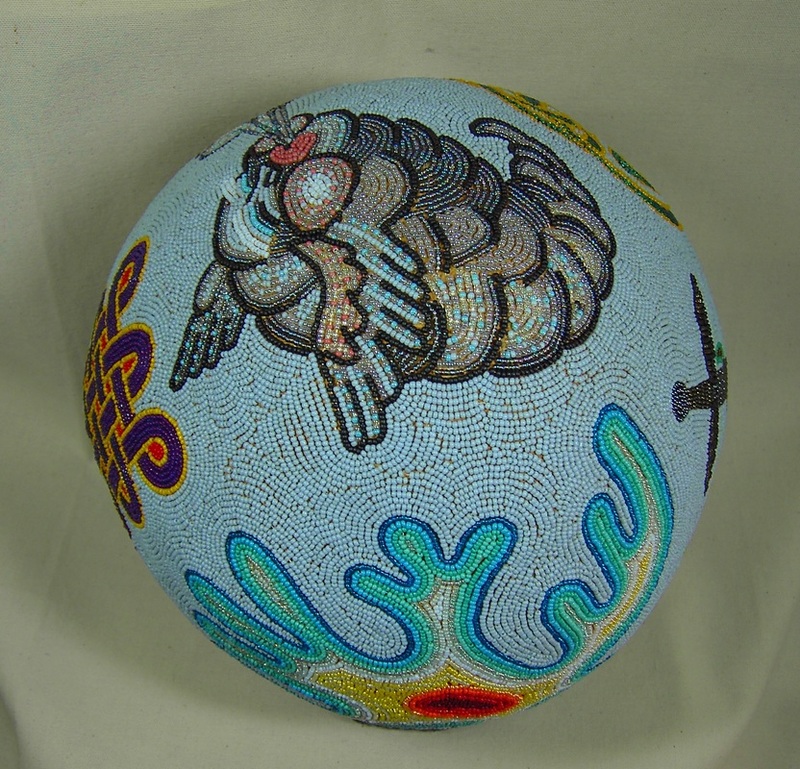 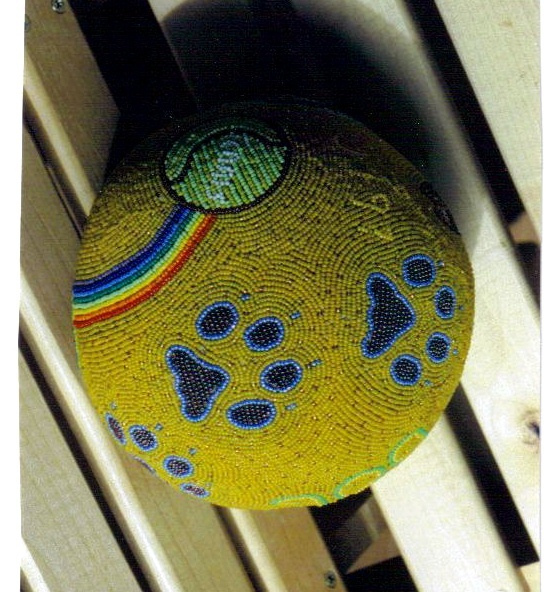 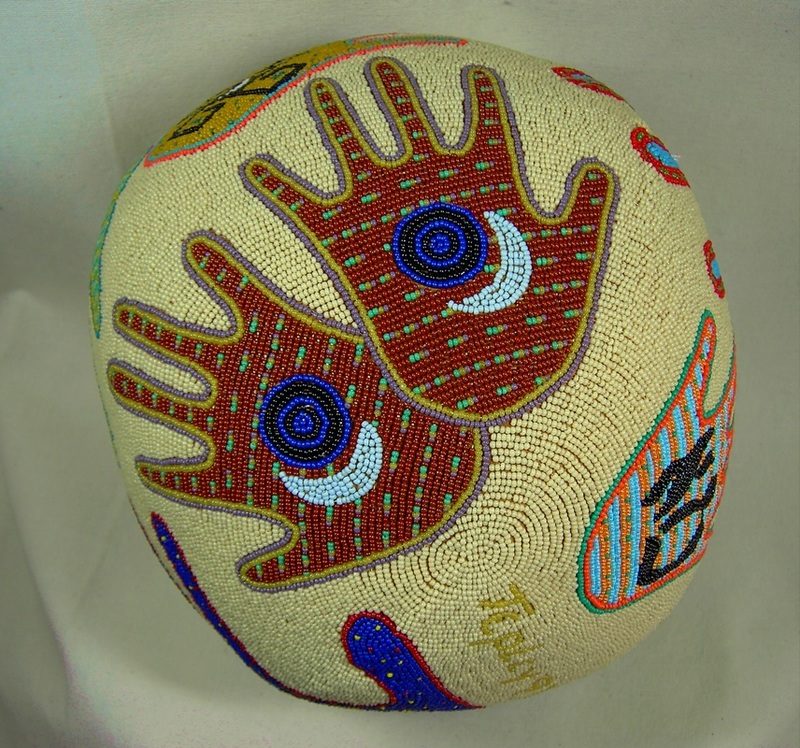 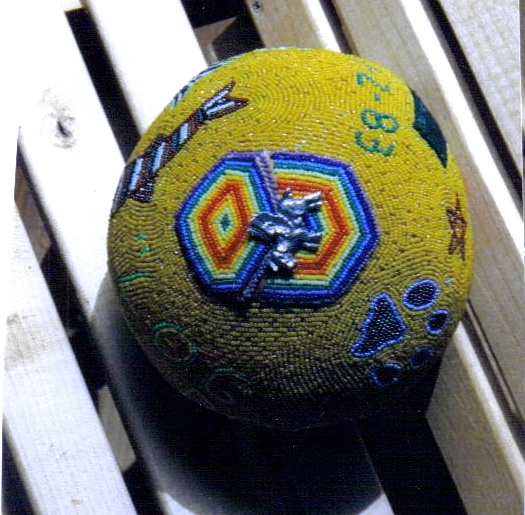 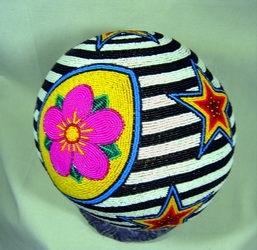 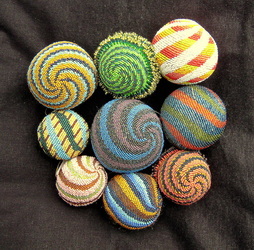 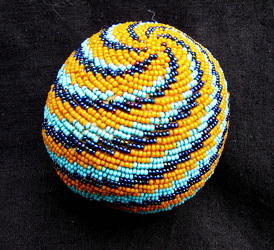 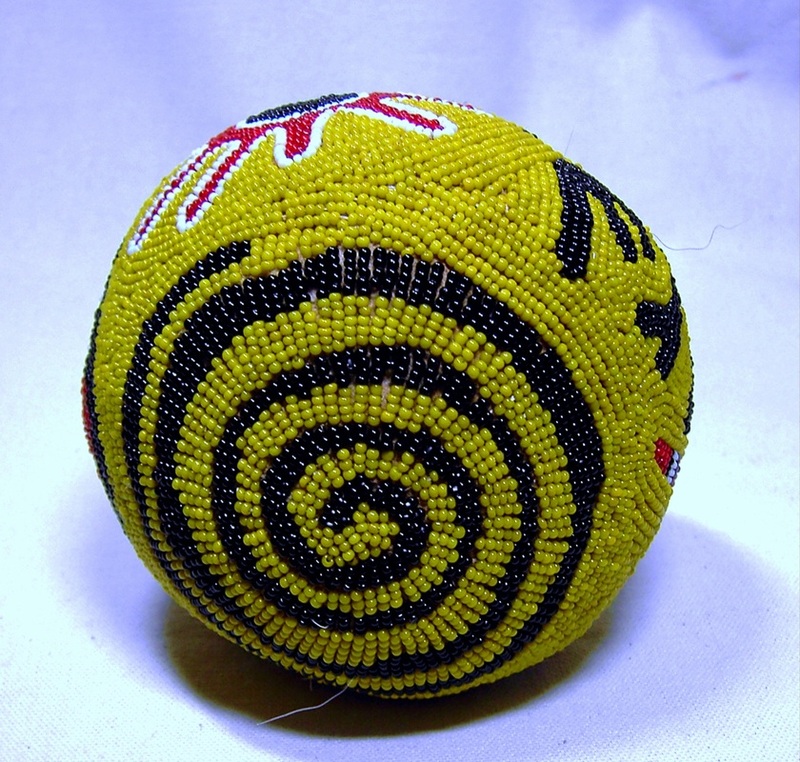 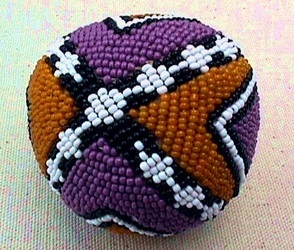 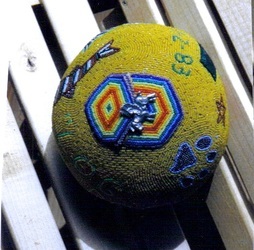 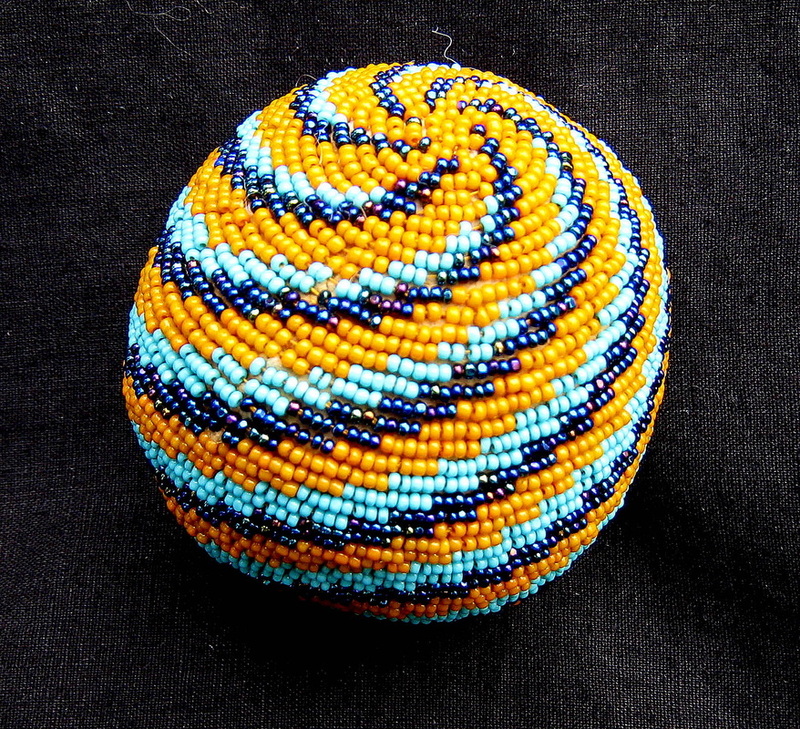 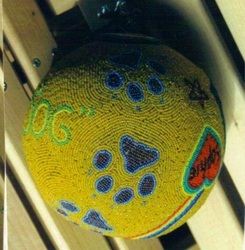 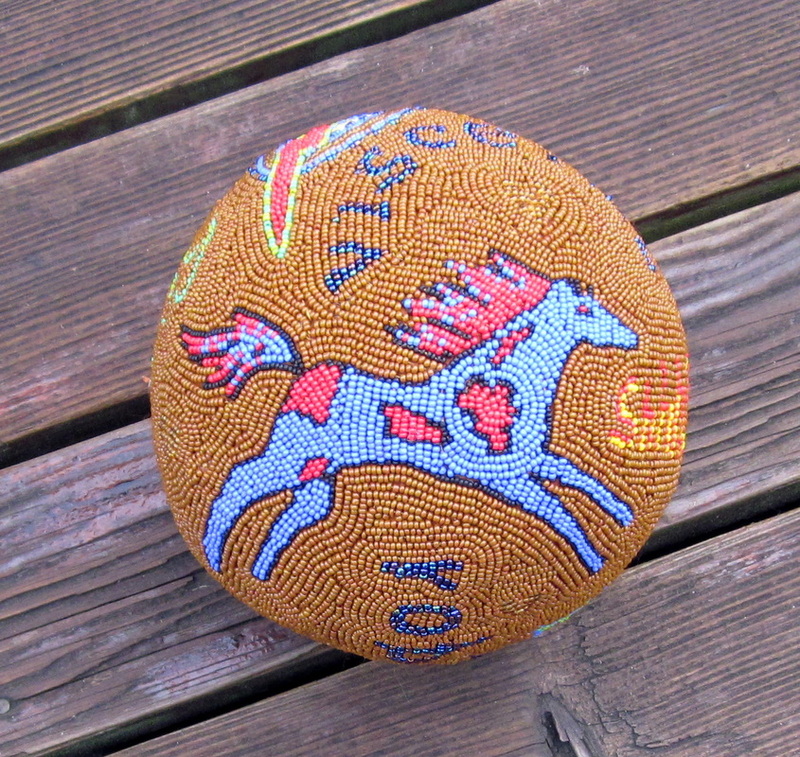 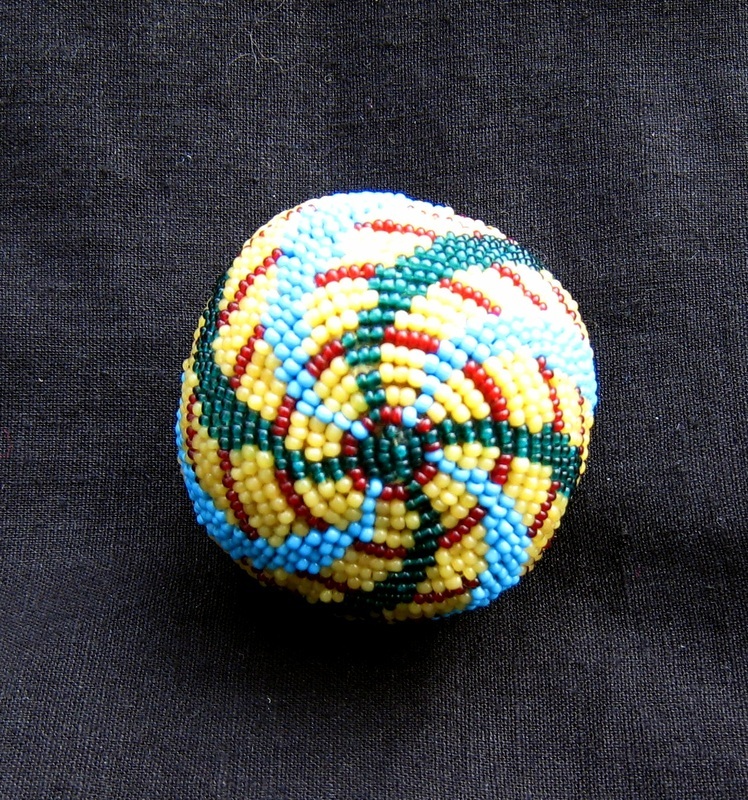 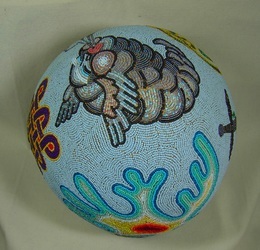 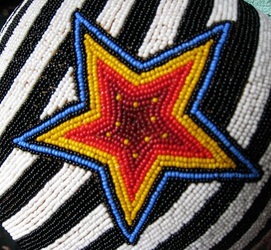 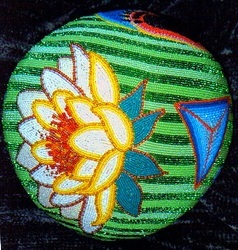 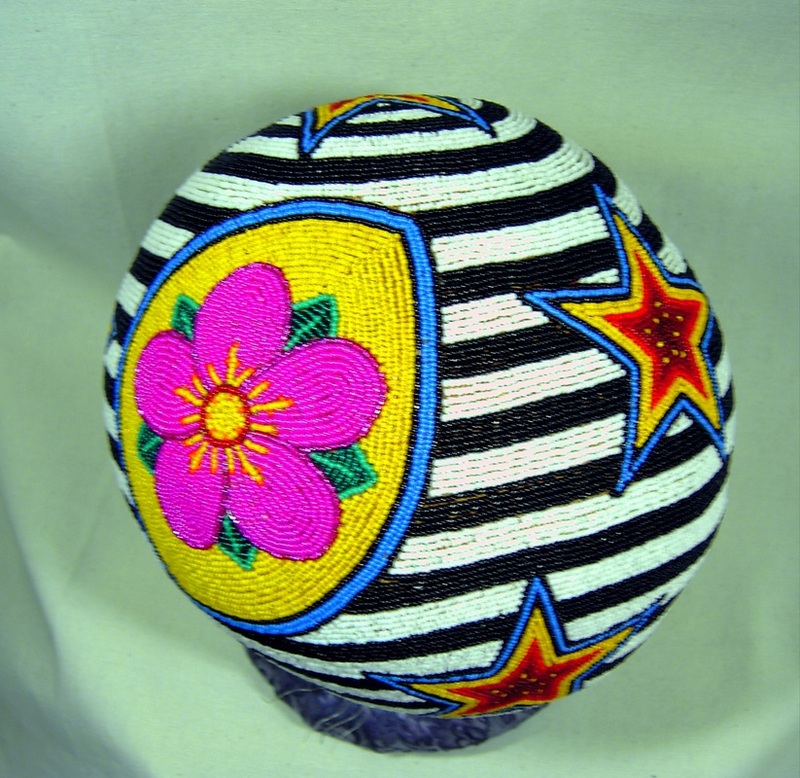 Beaded balls were the beginning of large scale spheres. 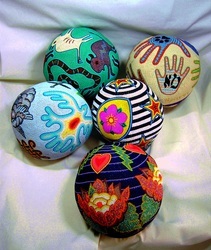 These are telling a story. 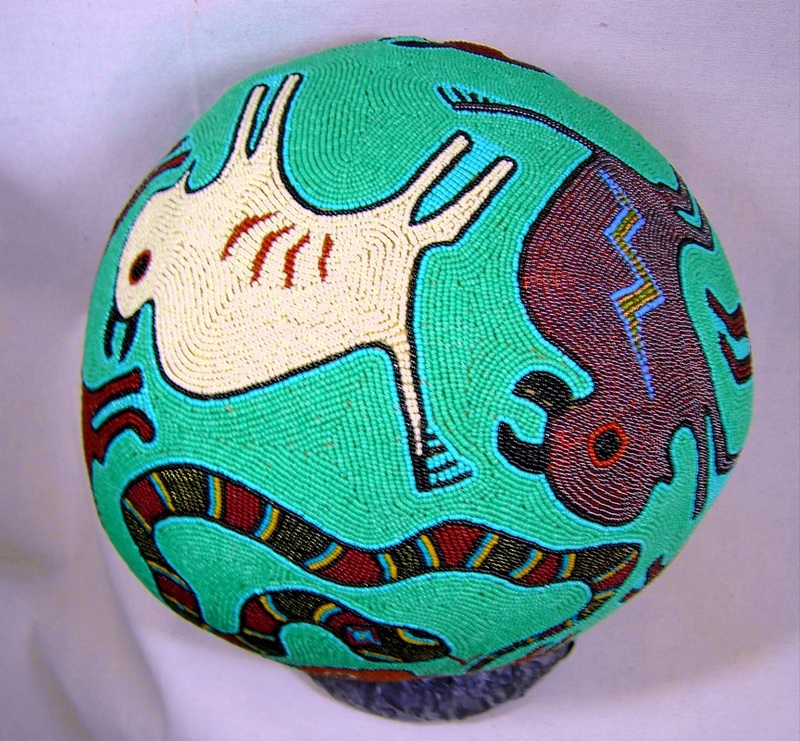 Earth: bison herd each carrying a particular symbol, green grass prairies and a snake which made the whole surface dance. Water: represented by all the hand prints as if touching the surface of the moon, each again with it's unique symbol. Fire: A repeated ever unfolding lotus-lily blossom, always becoming, edges in flames, Hale-Bop comet streaming across the sky, heart as an organ of fire. Air: the wind, mental process, puzzles, birds, galaxy, lightning bolts, delta, all seeing eye and Jacob's ladder. 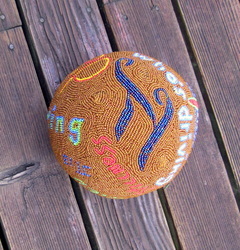 Center Point: where all things meet, where our "lead" turns to gold. 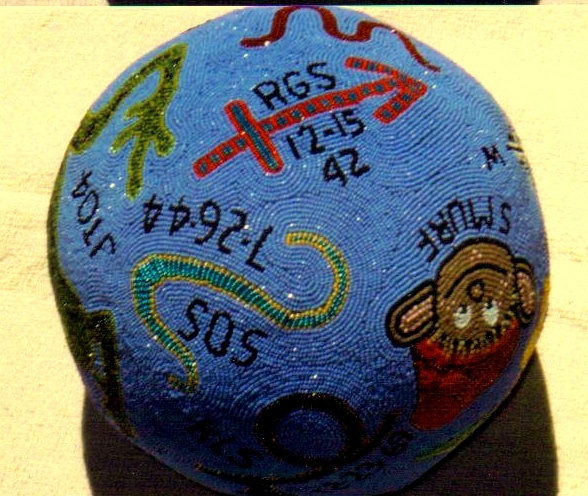 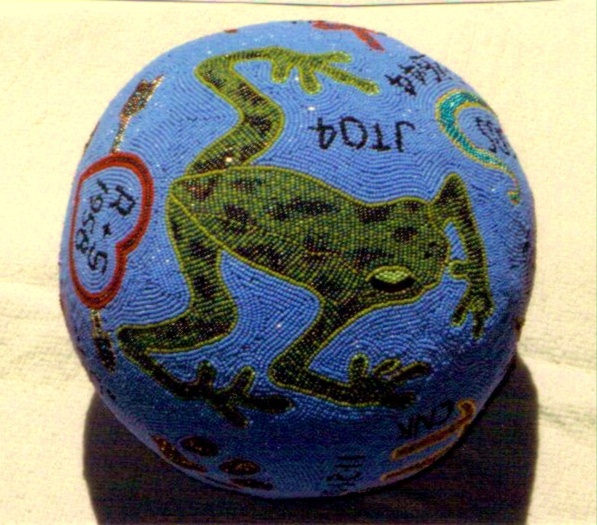 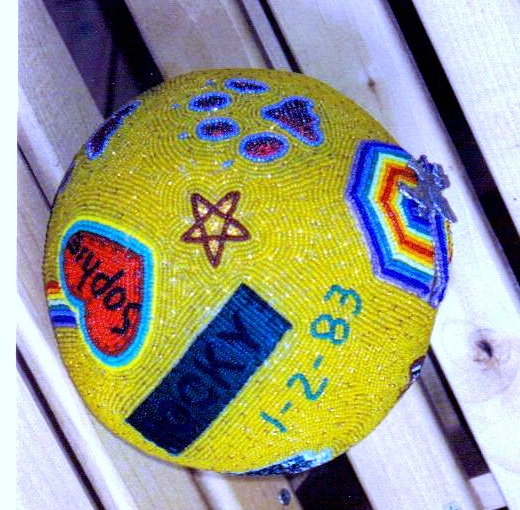 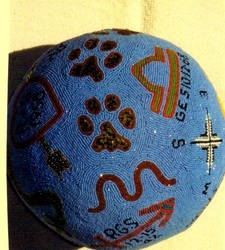 The Story Balls are a way to mark and celebrate the events of life. 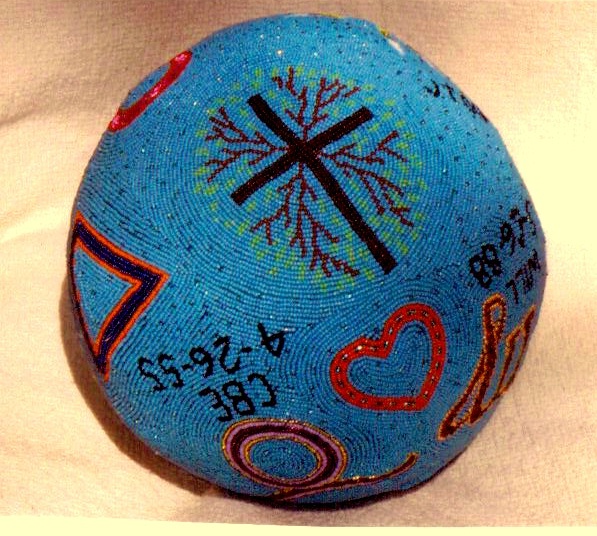 Births, birthdays, marriage, transitions and deaths. 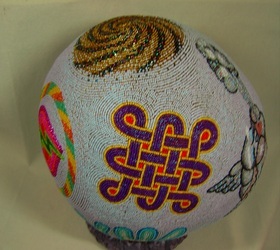 The possibility of symbols, text and color is perfect for a custom piece unique to the recipient. 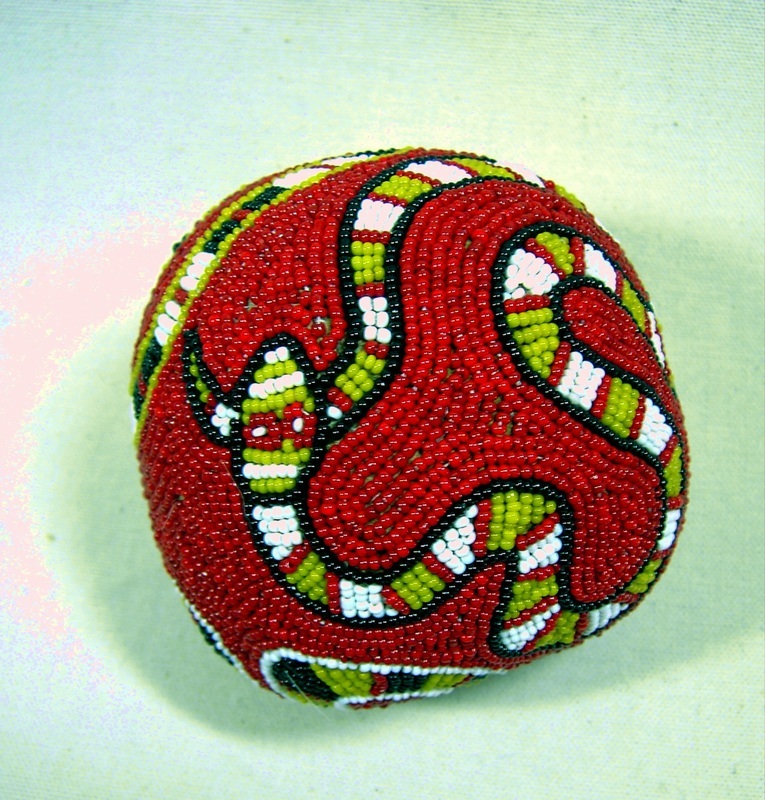 Some have things contained inside as with the funeral or life ending balls which contain ash, bones and personal objects. Whatever the event there is a very personal way to mark it. 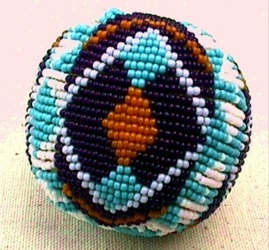 It reminds us of who we are now, where we've been or what we might wish to be. 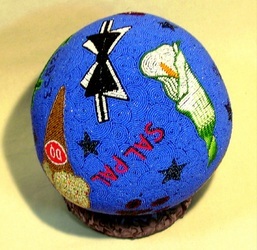 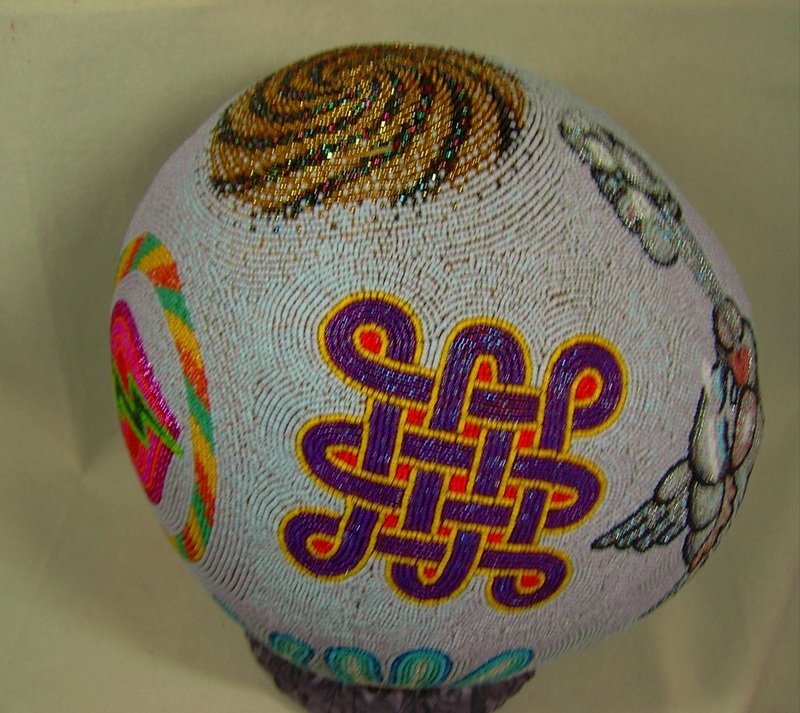 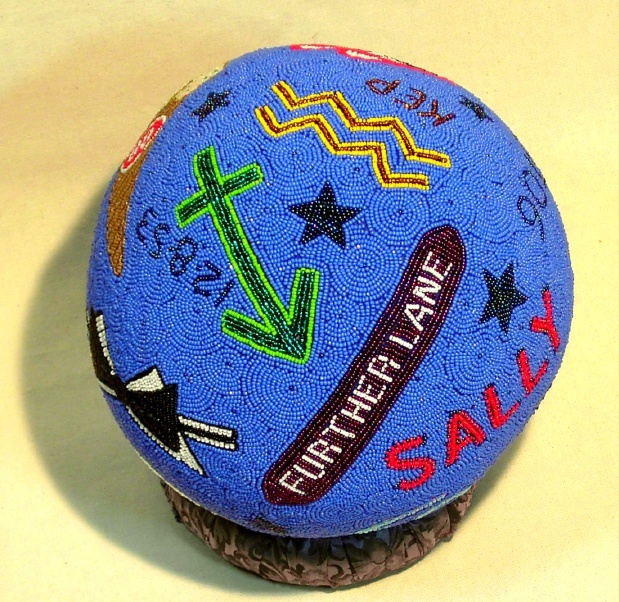 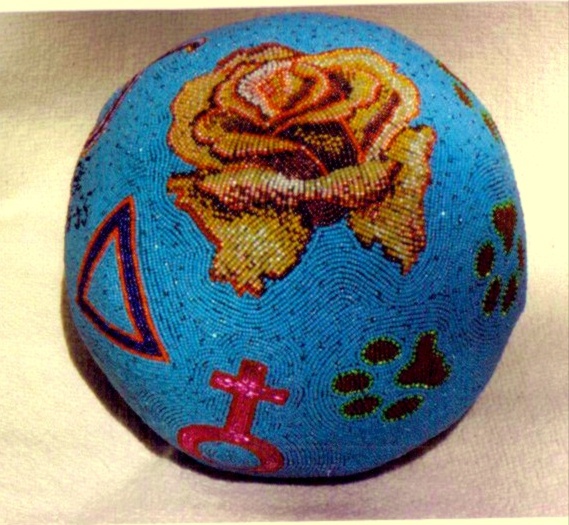 The symbols and story on this sphere are all about the person and her philosophy. She is a teacher who works with horses and humans. The words are the symbols. 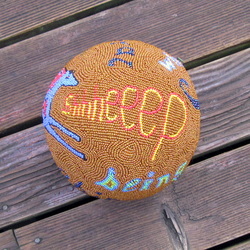 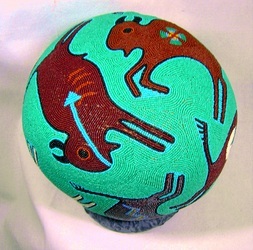 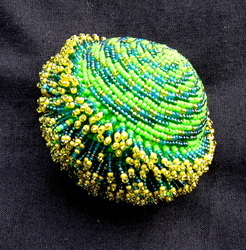 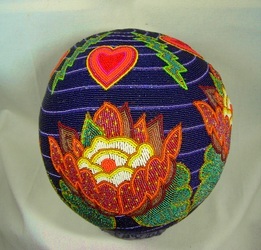 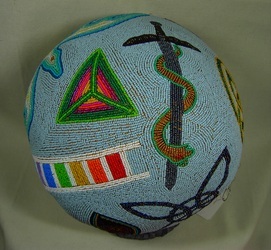 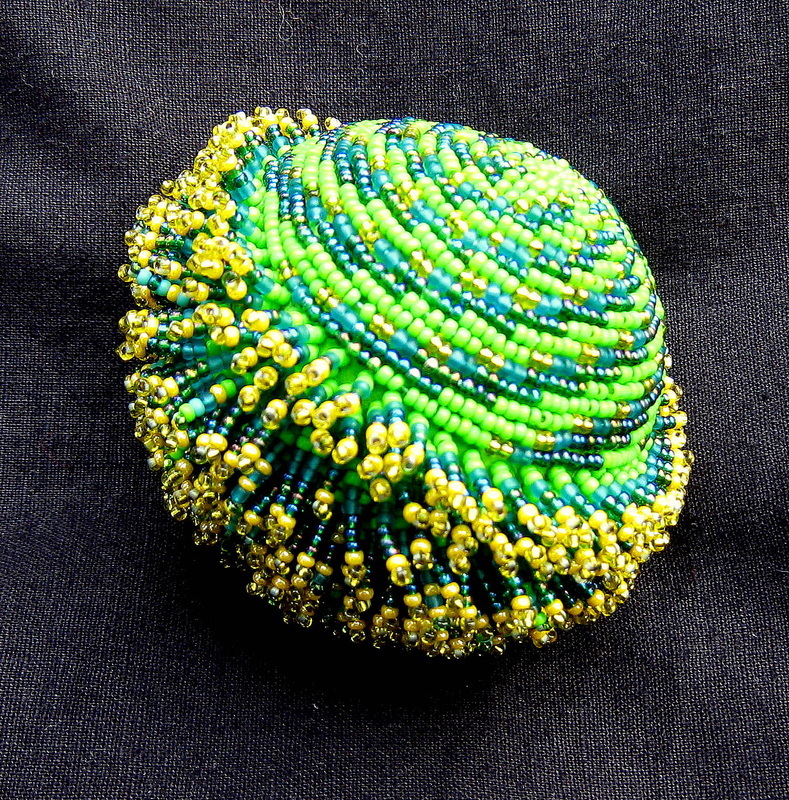 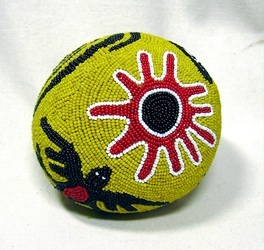 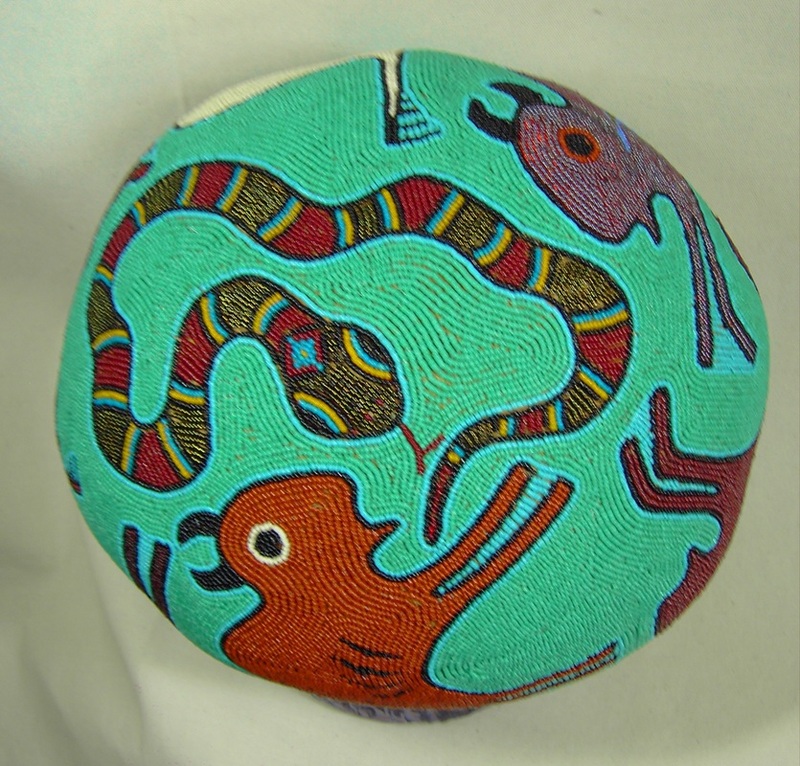 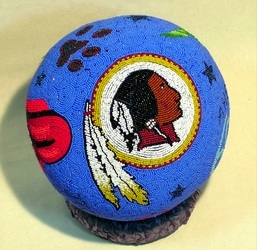 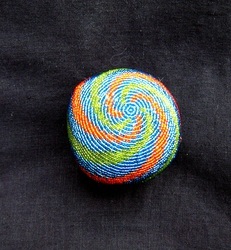 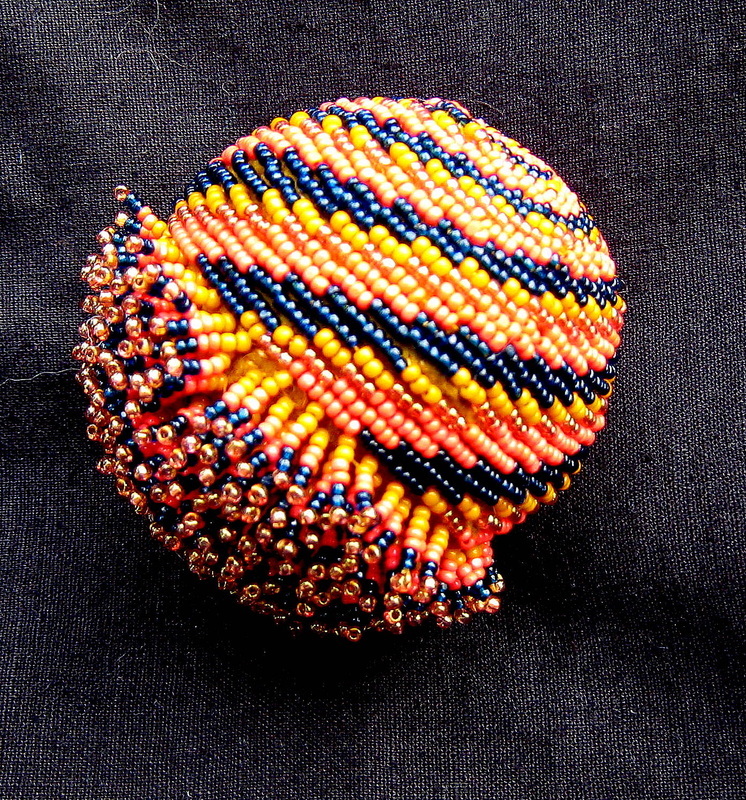 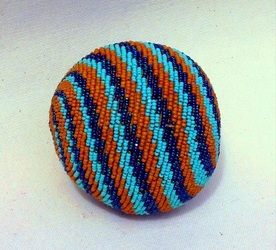 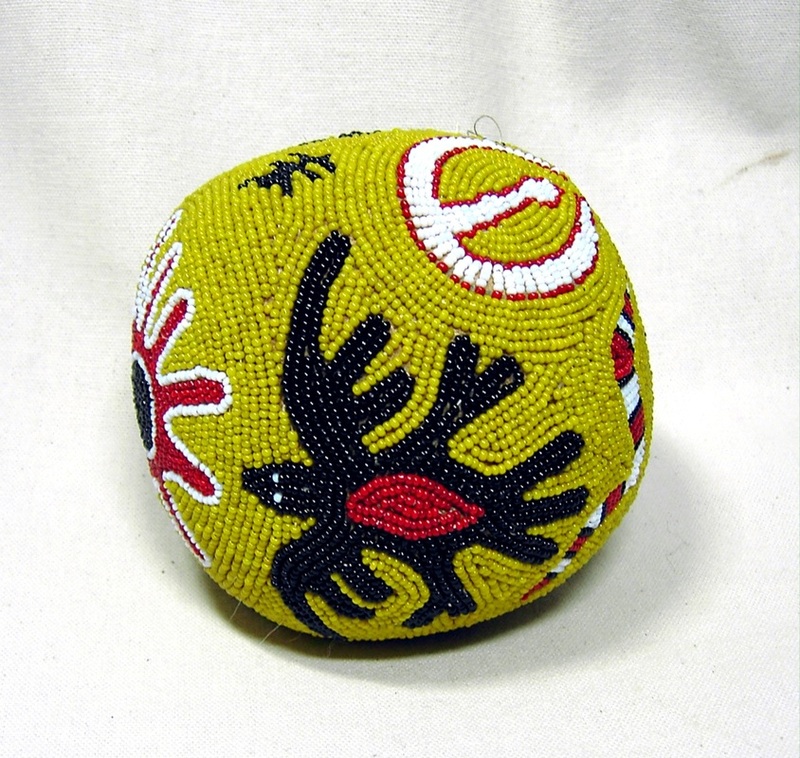 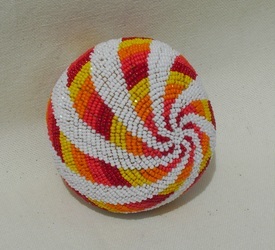 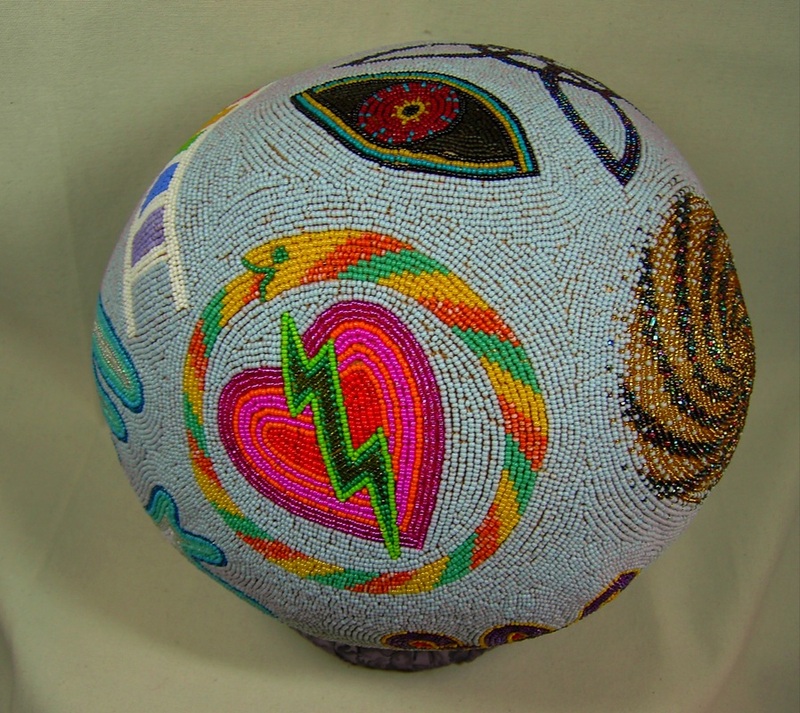 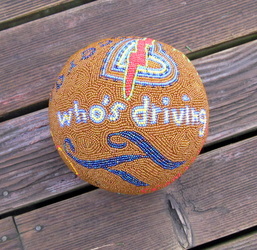 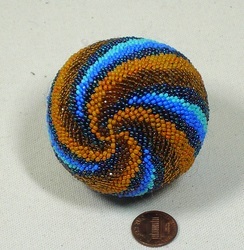 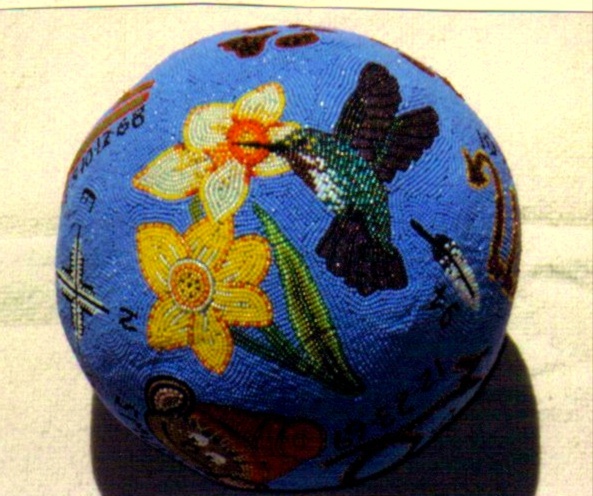 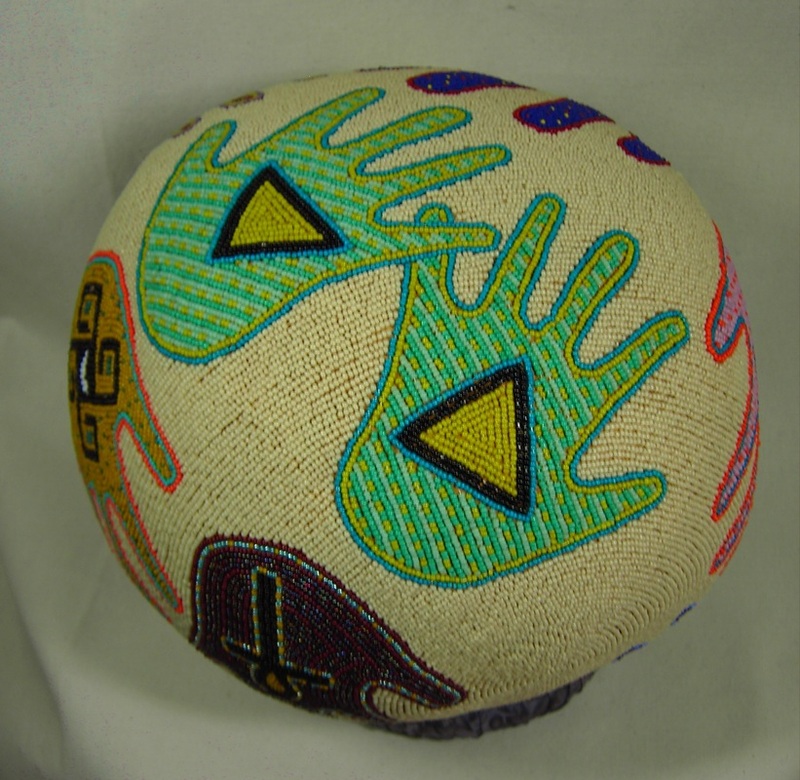 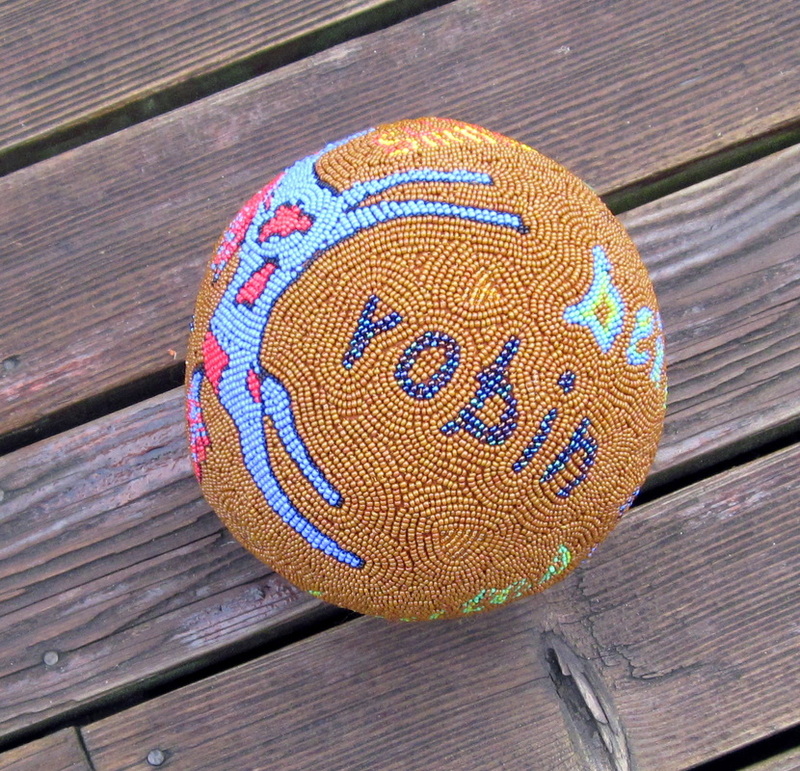 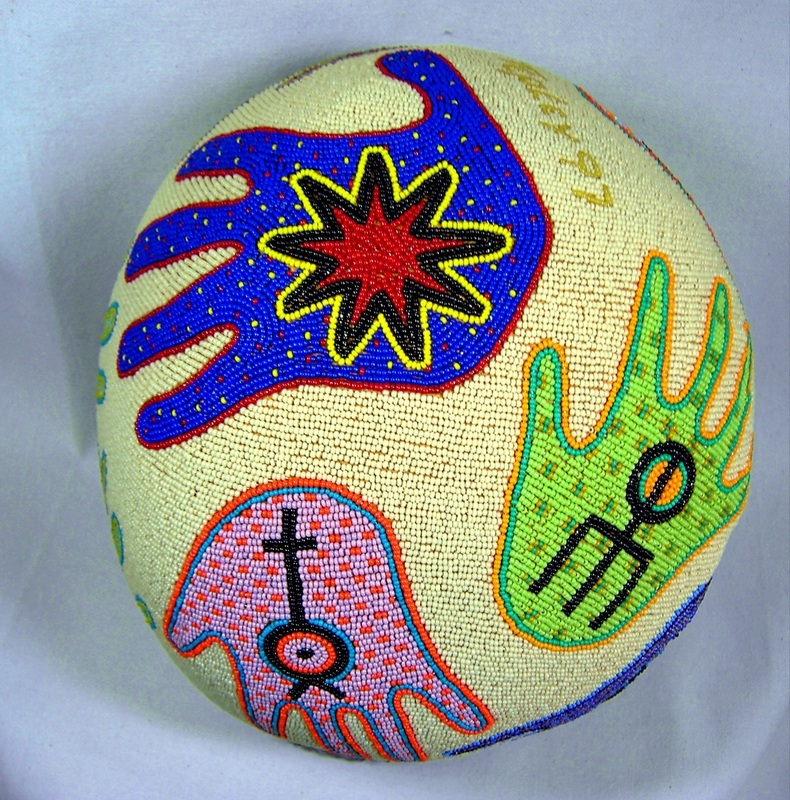 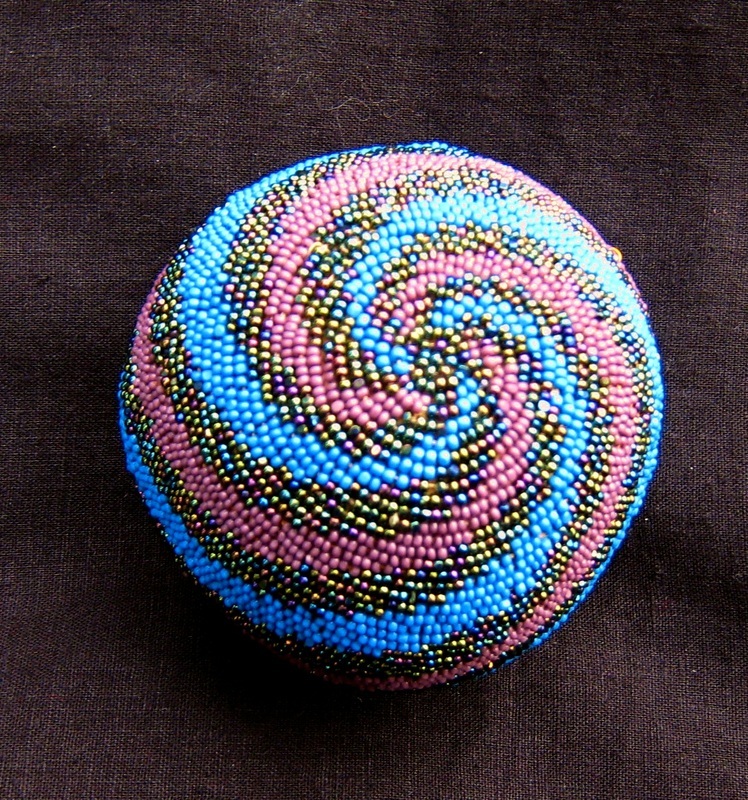 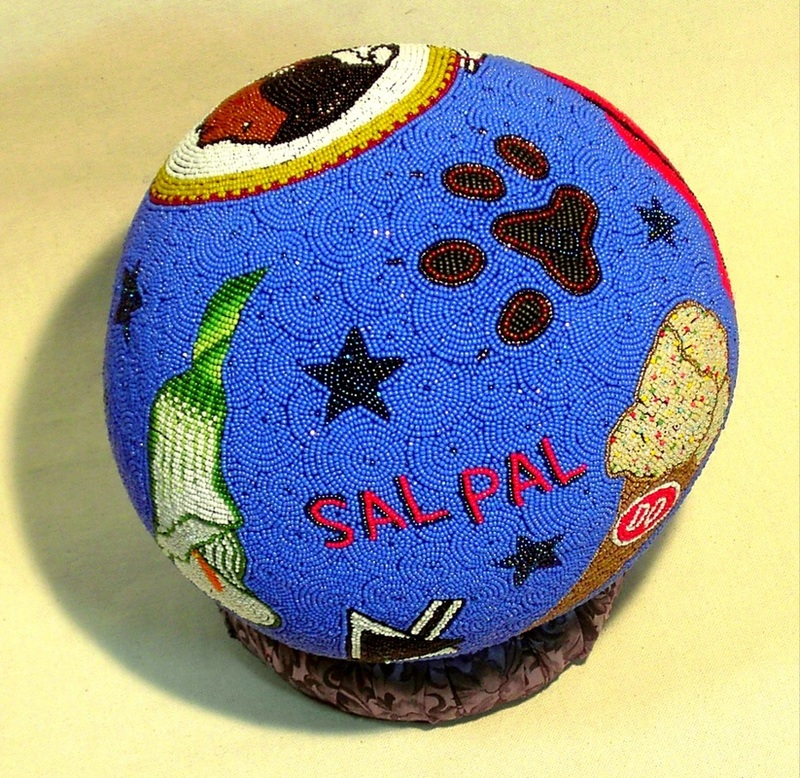 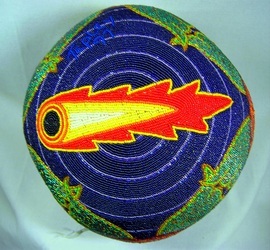 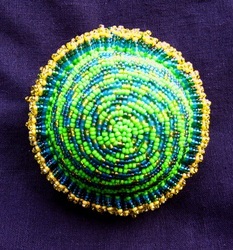 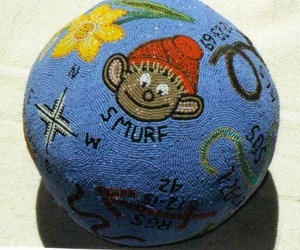 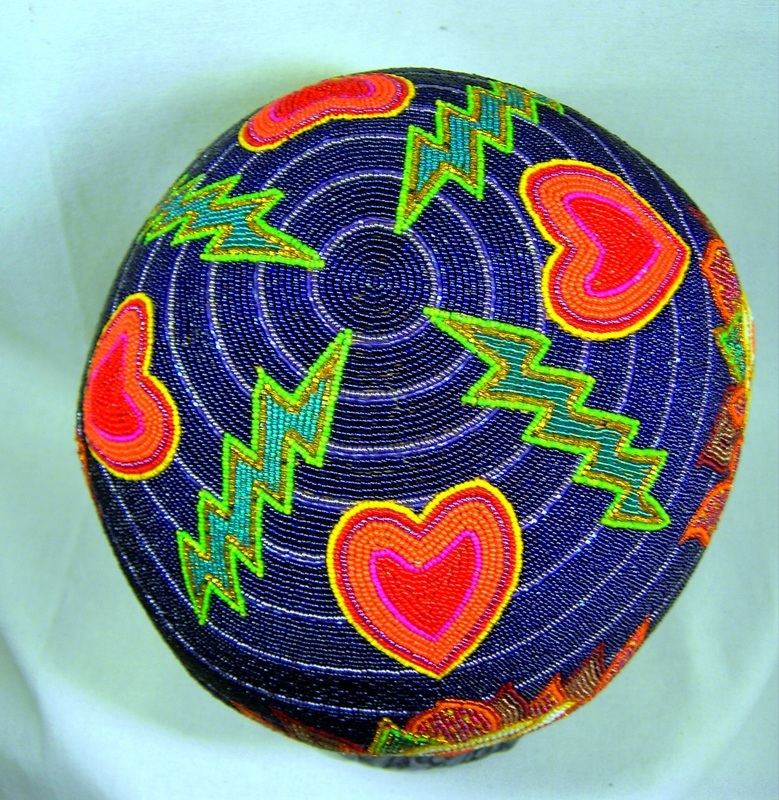 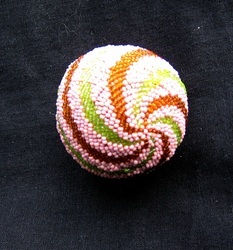 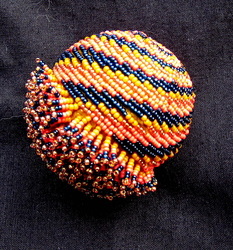 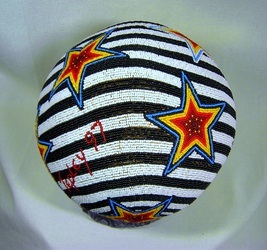 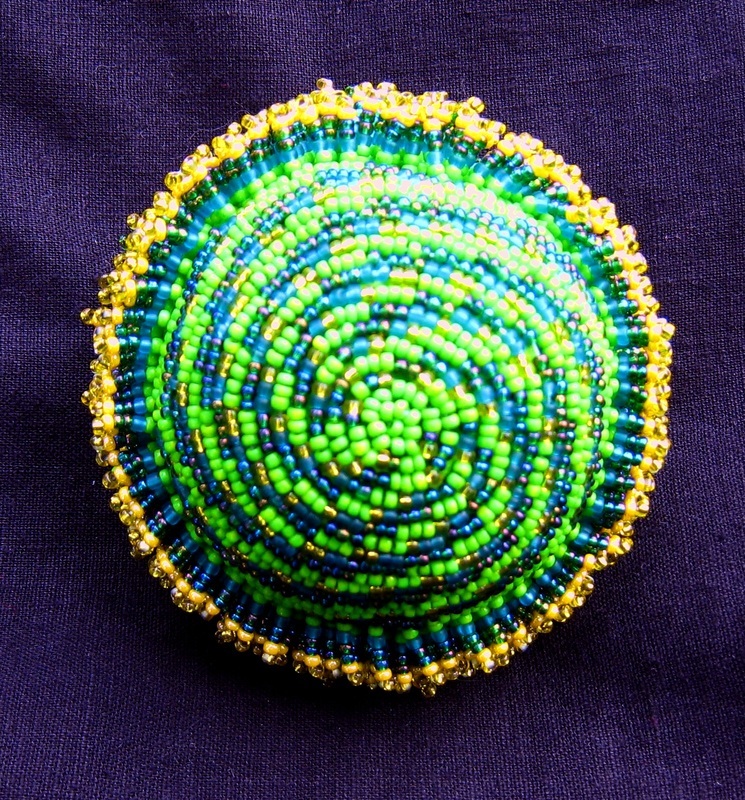 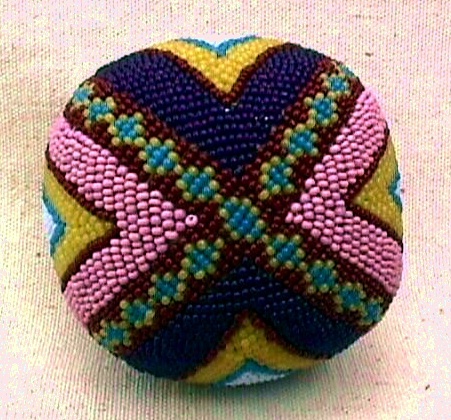 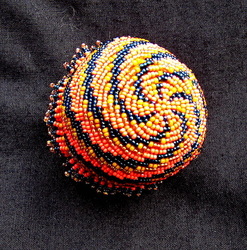 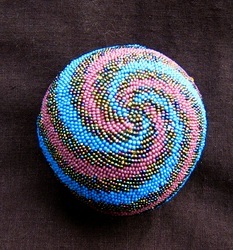 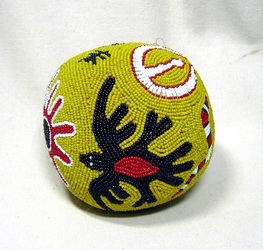 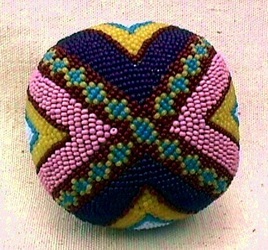 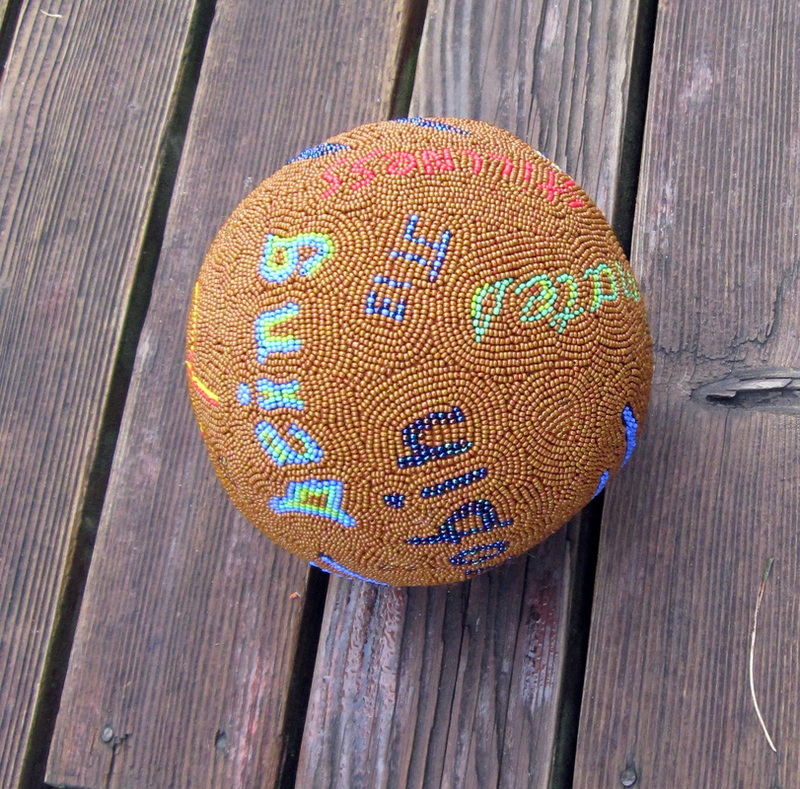 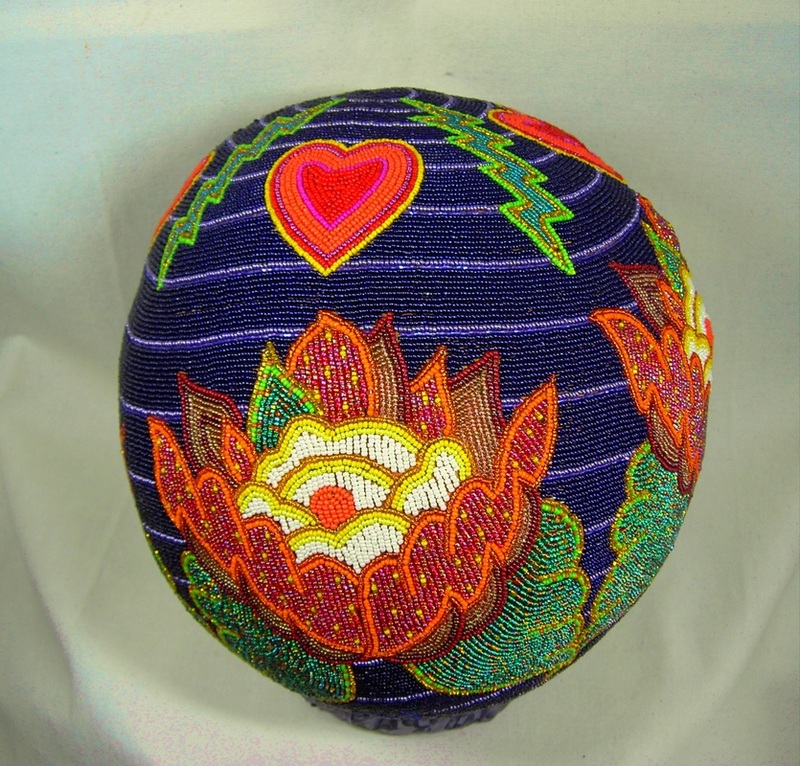 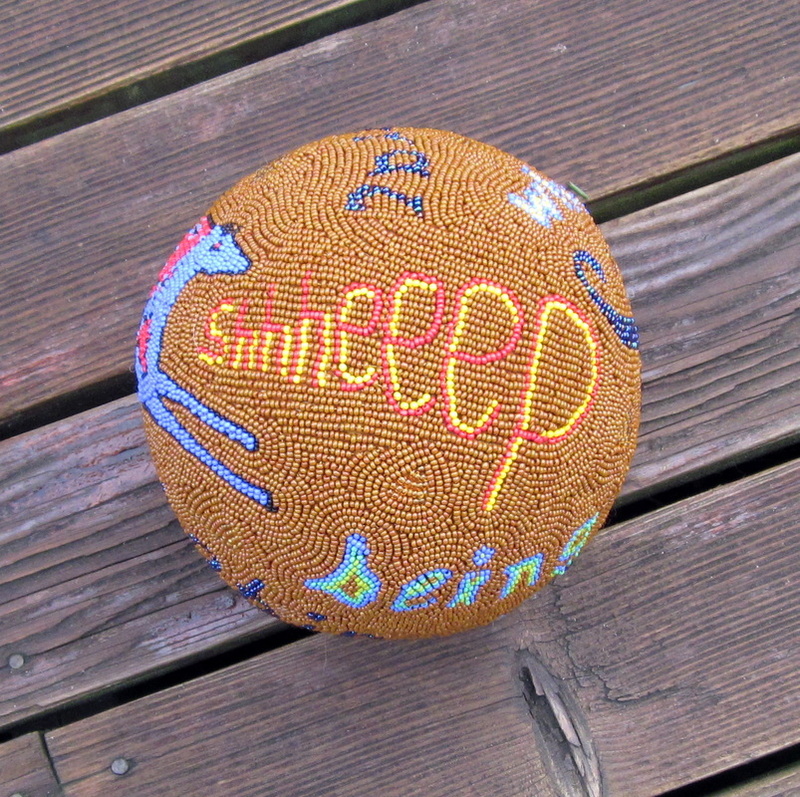 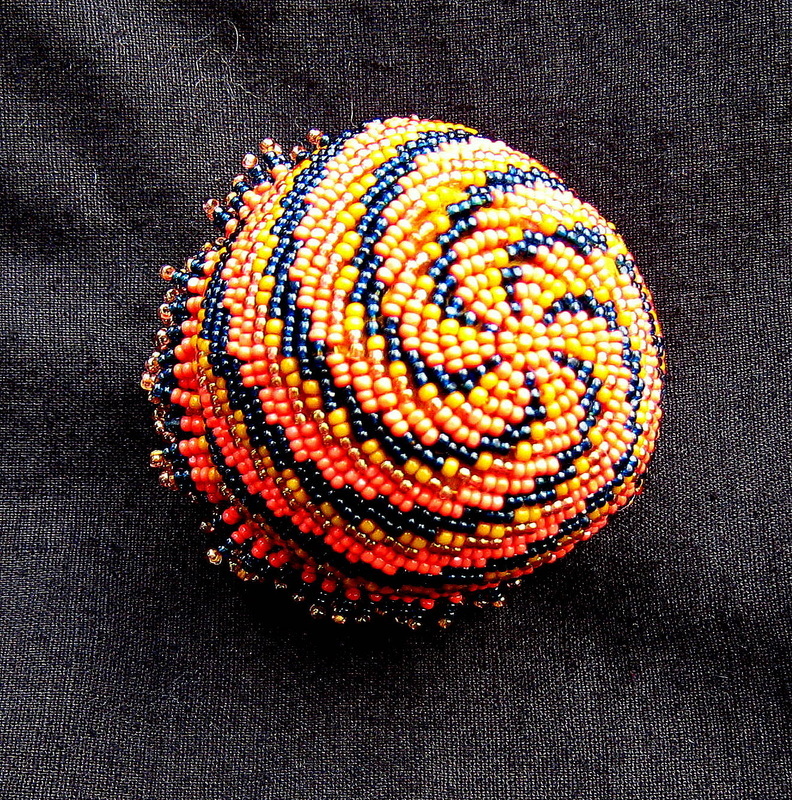 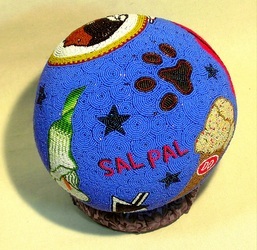 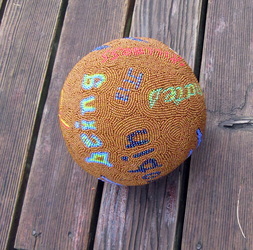 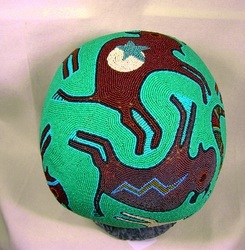 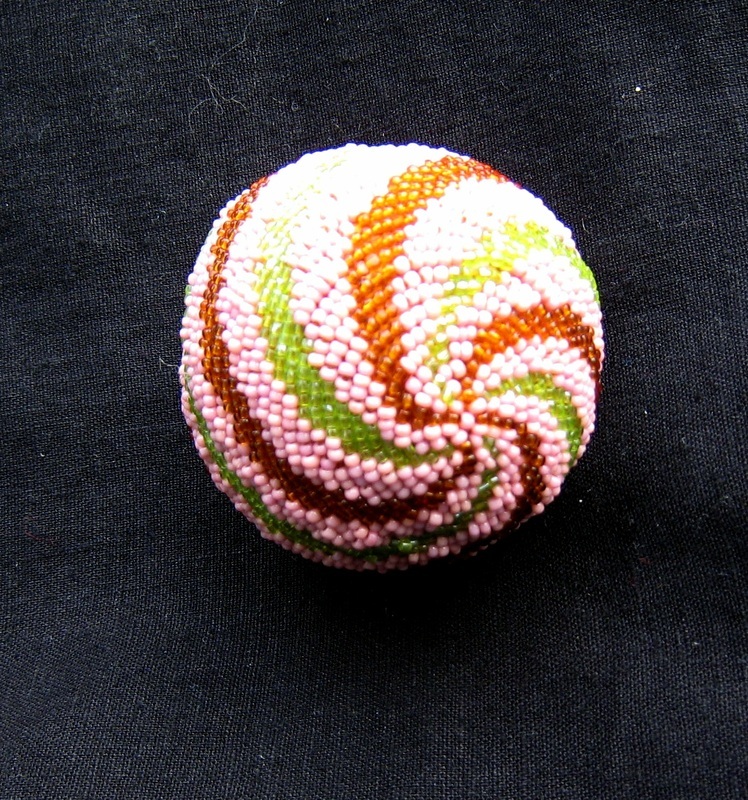 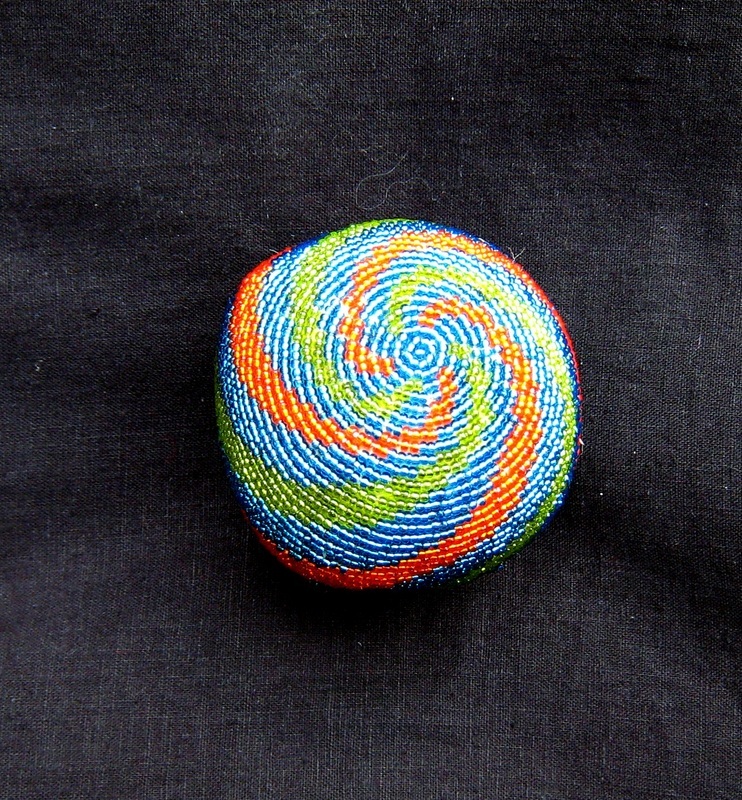 This sphere is 6'' diameter, has a wool felt skin with glass seed beads hand sewn into the surface. It's a heart beat kind of energy of the highest degree.